Tourism is one of the much-evolved industries with an increased use of social media platforms. Many bloggers choose this niche to share their personal tour stories and to gain benefits from their travel guide. 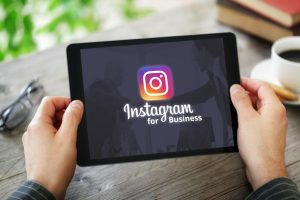 Instagram has a lot to offer to the right brand, and it is up to you to try ways to be one of the ‘right’ brands in the eyes of your audience. A good starting point would be to go to VVSlikes.com and purchase some likes and followers. It is not always helpful, but is recommended when you don’t have any other way to establish your authority and credibility. Just stick with a good company and you will get good results. Even then, you need to bear other important factors in mind to promote your tourism business on Instagram. 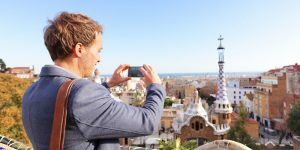 Here are some pro tips for these travel bloggers, tourists, travel agents, and other related people to feature themselves in the best possible manner on Instagram. You should opt for a particular stylizing mode for your images and stick with it as it will become your signature style and become your identity. Don’t switch styles of your images frequently or you won’t be able to get recognized in the crowd. Build a theme of your brand through your images. Instagram is all about sharing photos and quality visual content is the crucial element of success on Instagram. You must use good quality and high-resolution images and photographs to grab the attention of your viewers. Especially the tourism industry can attract new customers and followers only through their visually stimulating images. The eye-catching views of natural scenery compel the viewers to spend at least a few moments staring at the image and click to know its demographics. The size of your image matters too on Instagram. Use 1080px photos for getting best quality images on Instagram. The number of posts you upload each week on Instagram affects engagement on your profile. Post consistently on your profile preferably every day so that you won`t disappear from the newsfeed of your followers. It’s true that your presence on Instagram increases engagement on your profile but don’t go overboard with it. If you will start posting several times a day you will more likely lose your followers as they will unfollow you. Your recent tour plan might be very exciting for you but it might not be very appealing for your followers or they might not be interested. Your constant bombardment of posts related to the same tour will definitely drop down your value and people will move away from your profile. Be consistent about your posting pattern whether you choose to post every day or few times a week. You need to post new and fresh ideas and photos every day on Instagram to keep your viewers intact with your profile. But generating fresh content on daily basis is not a piece of cake. You might not be able to capture new photos or unable to create fresh contents on some busy days but you definitely don’t want to lose the interest of your audience too. Here comes user-generated content on your rescue. Invite your clients to share their experience with your services and post their own photos on your profile. This will relieve your burden and your loyal client will be happy to get featured. 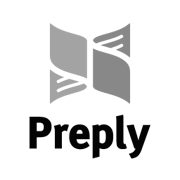 Invite fellow bloggers on your profile to share their experience and review about you. User-generated content is very helpful in increasing the engagement on your profile and in boosting your exposure. Always show some love and respect for your followers by valuing their presence. Appreciate them for liking your posts and comment back to interact with them. This will help you in creating a personalized bond with your audience and they will feel valued. Always reply back to people on your post as soon as possible as this will increase engagement on your profile and commenters will get an incentive to react on future posts too. Interacting with your audience also increase your reach and help you in presenting your ideas in more details. The subsequent time I learn a weblog, I hope that it doesnt disappoint me as a lot as this one. I imply, I do know it was my choice to learn, however I really thought youd have one thing interesting to say. All I hear is a bunch of whining about something that you can fix in the event you werent too busy looking for attention.